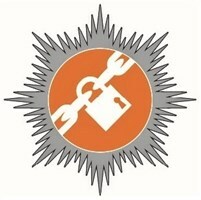 County Boarding & Locks Services Ltd - Locksmith based in New Haw, Surrey. County Boarding & Lock Services offers a fully insured, professional and reliable 24 hours a day, 365 days a year Emergency Boarding Up, Glazing & Locksmith Services. Our highly experienced staff are specialists in carrying out Boarding Up and Lock repairs whether you have a residential or commercial property. From a small window to a large shop front, our operatives can secure any damage that has been caused to windows, doors or shutters until such time permanent repairs can be completed. Permanent lock replacements are also carried out alongside our Boarding Up Service. This being a trusted and reliable service for many clients from when premises have burgled and or keys have been lost / stolen.